Most chapter and district officers cringe when they hear the word “audit.” Perhaps it brings to mind a room of accountants who have really sharp pencils that consistently need to be sharpened and astronomically large-sized ledger sheets… or maybe it’s fear that an Internal Revenue Service (IRS) or Canada Revenue Agency (CRA) agent is looking to find an $0.80 discrepancy so they can fine you thousands of dollars. Fear not! While the terms “Audit” or even “Financial Review” continue to be a few of those misunderstood, often-frightening terms that can make your treasurer shriek, in fact, an annual review is an important tool to keep your chapter or district financial house in order. In practice, it’s not as bad as you might think! Defining terms: Audit or Financial Review? An “Audit” is different than a “Financial Review.” Usually, an audit is completed by an independent third party (not affiliated with the organization) and usually implies there are specific credentials (i.e., Certified Public Accountant/CPA, Canadian Chartered Accountant, etc.) and accounting standards that are required in order for the audit to be conducted by that party. A Financial Review shares similar, but reduced goals of an audit, and is not conducted with the same level of investigation or analysis as an audit. An audit is generally unnecessary for groups like our own BHS Chapters & Districts, primarily because the costs can be significant and there isn’t a legal annual requirement for a full audit. If chapters and/or districts have the capacity and desire to conduct a full audit of their books, they’re more than welcome to do so. 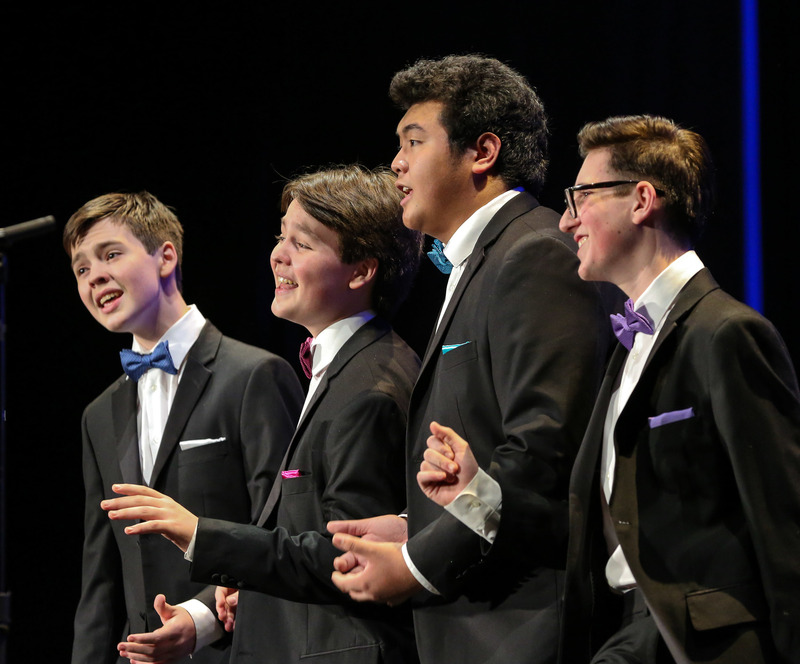 The Barbershop Harmony Society, as part of its oversight responsibilities of organizations participating in the BHS group exemption, requires that a Financial Review (sometimes referred to as an independent review) be conducted annually by one or more individuals who are not the individuals facilitating and managing the books, i.e., the treasurer. 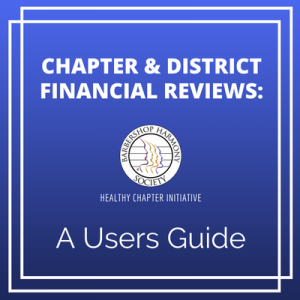 A further requirement is that the chapter or district communicate the financial review results to BHS by uploading the report in their Financial Filings profile in the BHS Member Center. That’s it! What are the benefits of conducting a Financial Review? A Financial Review provides validation that the financial information maintained by the treasurer is accurate. A review also should quickly identify whether there are red flags that should be made known to the chapter or district boards of directors. A board of directors has the fiduciary responsibility to the organization; more specifically: to ensure that the money entrusted to it is being handled properly. An annual Financial Review also instills confidence in your members that everything is in order by verifying the numbers, ensuring accuracy, and assessing procedures. The Financial Review can give closure to the treasurer to set a starting point for the next year's activity. Similar to a full audit, Financial Reviews may uncover financial mismanagement. We never want our chapters or districts to be in that type of position, but if not found, poor practices can become significantly more serious as time passes. A timely Financial Review can also provide your board of directors and members further insight to how closely your group's income and expenditures matched the year's budget. This type of review can be a strong planning tool for your leadership teams. Who should conduct our annual Financial Review? There are several options for who might conduct your Financial Review. First, refer to your Chapter/District Code of Regulations or Rules to see if an audit committee or financial review process is already documented and use that as a guide. A typical best practice and our recommendation is that it be completed by one to two individuals not a part of the Chapter or District Board of Directors, and has experience looking at simple ledgers and bank statements. How should we prepare for a Financial Review? One or two additional bank statements AFTER year-end. This may help the reviewer to verify that any subsequently cleared year-end outstanding checks agree with the bank reconciliation as to payee name, date, and amount. Any discrepancies or still uncleared outstanding checks should be investigated (same as if they were missing blank checks). What are the steps for completing an annual Financial Review? Compare a random selection of cash receipts and deposits (approximately 10% of the annual total) to the bank statements. Check addition and subtraction on selected cash receipts and deposits. Confirm that a random selection of disbursements have been properly approved. Confirm that selected disbursements have been properly documented with an invoice or receipt. Confirm that selected checks have been deposited or cashed by the payee indicated and no information on the face of the check has been altered. Make sure there are no missing checks. Obtain proof that IRS Form 990 or CRA Forms were filed on time, if applicable. If exceptions are noted during the review (errors, irregularities), consult with the organization’s Treasurer and President (if necessary) to resolve the exception. The Treasurer is responsible for making any corrections to the ledger or checkbook. The organization’s Treasurer and board are responsible for acting upon the recommendations made by the reviewer(s). Is there a date that this should be done by? For chapters or districts that are required to file a 990 or 990-EZ, Financial Reviews should be completed by May 15, so that any corrections uncovered will be included in the 990 or 990-EZ. For chapters or districts that are required to file forms with the CRA or a 990-N, Financial Reviews should be completed and filed with the Society (through your Chapter or District Member Center Compliance Filings Profile) by no later than June 30. Is there anything I can do to ensure smooth sailing? If your chapter or District implements basic financial controls, your annual review can be relatively routine. Simple things like keeping your paper files organized, using only pencil in the check register, sequentially ordering your canceled checks and stapling receipts to the authorizing forms can ease the workload on the reviewer(s). With poor controls, it is difficult for a reviewer to determine that all transactions have been properly substantiated and recorded. If you expect your volunteers to dig through stacks of crumpled receipts, boxes of disorganized bank statements, and pages of messy transaction journals, you probably are expecting too much. The review will be compromised, and its reputation as a difficult and unwelcome activity will persist, to the detriment of the group. If I have questions or need further clarity, who can I contact? Feel free to contact your District Treasurer or you can contact the Barbershop Harmony Society Chapter Leadership & Education team and we’d be more than happy to help! You can email us at chapters@barbershop.org or call us at (800) 876-7464.